When Apple declared Siri , everyone knew that siri is not magical, all technology involved in siri is already present. Here is how you can make your own. Voice input is a proposed HTML5 feature by Google. Its already experimentally available in latest versions of chrome. 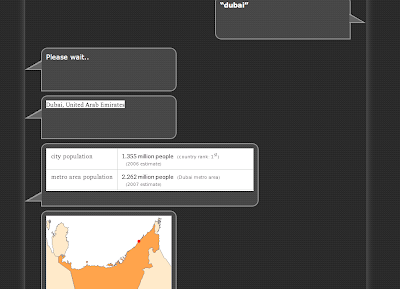 Wolfram Alpha is one of the most awesome search engine (or Computational Knowledge Engine in their terms). They have open API to make your own app. Recently chrome brought up the tts support in its chrome extension, which can be used to give voice to you Siri hack. hi, how are you pulling the iframe data in. what type of file are you using on your server side? Which iFrame are you talking about??? This app is all client side , most of the code lies on client , those iFrame which i am pulling from purplegene.com is simple maps/yql pages! They are very simple and generic, you can copy and paste as it is!